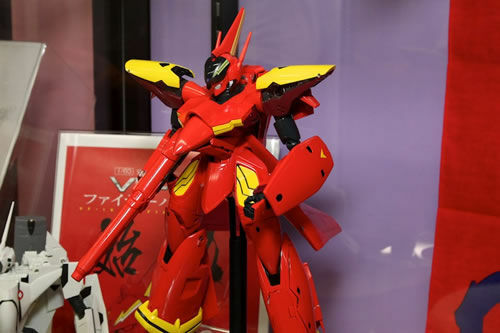 Late last month we saw a scan of the Yamato Macross 7 Fire Valkyrie prototype in color, and now we get to see the 1/60 VF-19 Kai Fire Valkyrie on display! 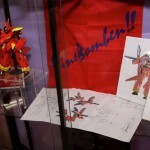 CYBERGUNDAM BLOG has posted images of the Fire Valkyrie on display at Yamato‘s showroom. 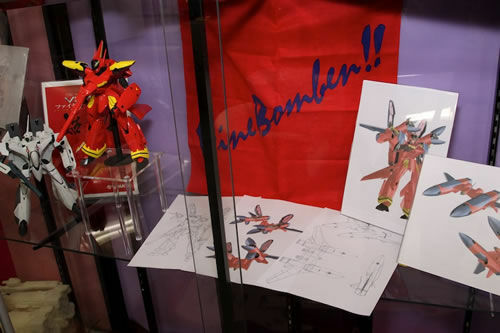 For comparison, Yamato’s VF-11C Thunderbolt is shown next to it. 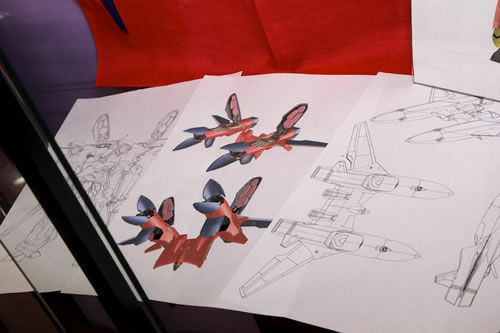 Also shown are CAD images of the Fire Valkyrie’s sound booster. it's looking great! i really, REALLY hope the sound booster is sold separately. this guy is going to be expensive to start with. Same here man. Now the Blazer, I don't mind if it's bundled with the FAST packs but the Fire Valky I think, would cost a lot more if bundled with the Sound Booster. By the looks of if, I think the Sound Booster is just in consideration, for the future, while the Fire Valky seems like it will be released solo initially. dude, i can't WAIT for the blazer. they definitely need to bundle fast packs with it. 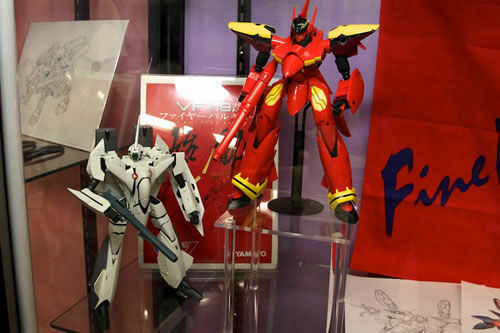 I want to see that, a VF-19P(looks cool), VF-19ACTIV/NOTHUNG, and VF-19EF.